I wouldn't change Dynamic Therapy for anything in the world. I truly appreciate Dr. Anatoli, and his coworkers, for their excellent work. I am currently attending therapy for a knee injury, and thanks to therapy I am able to continue my active lifestyle without worries. Hip and knee pain are quite common problems for many people today, especially among patients who suffer from chronic conditions like arthritis. If you suffer from hip or knee pain, you’re more likely to have other physical problems as well — mainly because you have a higher chance of falling. According to The Arthritis Foundation, knee pain sufferers have a 25% higher chance of falling than those without knee pain. This means that you need to seek help for a couple of reasons: both to alleviate your pain and to reduce the chances of injury. Contact our physical therapy team to get help today. Your knees and hips are both large weight-bearing joints — in fact, they’re some of the most important joints in your entire body. If you have hip pain, you might have mild, moderate, or even severe pain around your outer hip, in your upper thighs, or on the outer part of your buttocks. This pain can be erratic and is sometimes unpredictable. You may have pain mainly while exercising or it may be worse when you’re sitting down. Knee pain, like hip pain, can be different for every person. It tends to be worst when in motion, but the pain often lingers even when you’re at rest. Knee pain is often accompanied by swelling, stiffness, and problems with straightening your leg out completely. 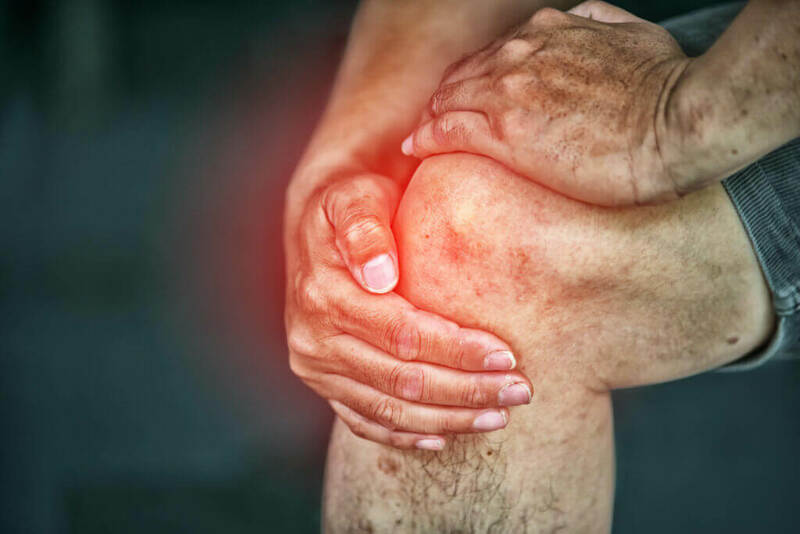 Hip and knee pain are usually separate, but many people who suffer from conditions like arthritis will experience both of these kinds of pain. While hip and knee pain can be very difficult and can even cause disability if not treated, there are effective treatments. Your physical therapist can help with this type of joint pain. Many patients say that it seems odd to have joint pain in some of the body’s strongest joints, the hips. However, your hip joints are still prone to wearing with age or excessive usage and this can cause hip pain. Another reason for hip pain is damage caused by a fall. Sometimes, even the smallest of fractures can lead to serious pain. Arthritis causes your hip joint lining to deteriorate, which can lead to serious pain. Bursitis is another common cause of hip pain. It happens when the cushioning sacs between your joints and connective tissues grow inflamed, typically due to repetition. With tendinitis, your hip tendons get inflamed and cause hip pain. It’s also typically a result of overuse. Knee pain, like hip pain, can happen due to wearing down of the knee joint over time. Knee fractures can be difficult to heal and are common causes of knee pain. Knee pain is often connected to ligament injuries. In an anterior cruciate ligament injury, the knee is damaged due to sudden stops or directional changes like those in basketball. If you play a sport that requires frequent knee twisting, you may be at risk or meniscus injury. A meniscus injury is usually torn cartilage, and it can be quite painful. While it’s more common among athletes, a meniscus injury can happen to anyone. Physical therapy is now widely accepted as one of the best healing options for patients who suffer from hip and knee pain. When you undergo physical therapy for hip pain or knee pain, you’re getting a customized program that focuses on not only pain relief but also on long-term healing. In addition to pain relief treatments like heat application and ultrasound therapy, your physical therapist will also help you rebuild strength so you can have full knee or hip function again. You’ll do closely supervised exercises at our facility, and your physical therapist may also teach you specially prescribed exercises to do at home. Physical therapy always focuses on doing recovery the right way, the non-invasive way, and the safe way. If you want to get rapid pain relief as well as actual healing, contact our facility today. We’re here at Secaucus, NJ to help you heal!